What is in it for other countries? Is it long term vision? Is it exclusivity? Is it broad outlook? Is it narrow focus? Is it maturity? Is it handout? Is it stability? Yes, it is stability. 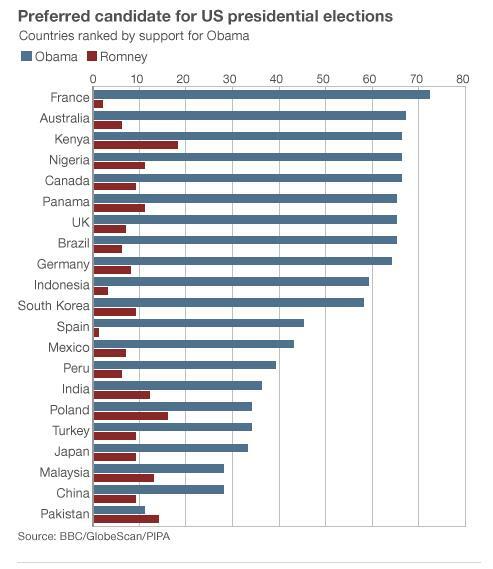 The more stable is America, the better it is for the rest of the world. That’s one speculation. Another, if we can believe as the media promotes that America is universally hated then that statistic could also represent the desire to seek America weak and malleable. I think certain aspects of America are universally hated, and others are universally desirable, it seems. 1. What is universally hated / desirable about current Republican values? 2. What is universally hated / desirable about current Democratic values?